IF YOU THOUGHT THAT 2011 WAS A BAD YEAR FOR THE WORLD ECONOMY, just wait until you see what happens in 2012. The U.S. and Europe are both dealing with unprecedented debt problems, the financial markets are flailing about wildly, austerity programs are being implemented all over the globe, prices on basics such as food are soaring and a lot of consumers are flat out scared right now. Many analysts now fear that a “perfect storm” could be brewing and that we could actually be headed for an economic apocalypse in 2012. Hopefully that will not happen. Hopefully our leaders can keep the global economy from completely falling apart. But right now, things don’t look good. After a period of relative stability, things are starting to become unglued once again. The next major financial panic could literally happen at any time. Sadly, if we do see an economic apocalypse in 2012, it won’t be the wealthy that suffer the most. It will be the poor, the unemployed, the homeless and the hungry that feel the most pain. 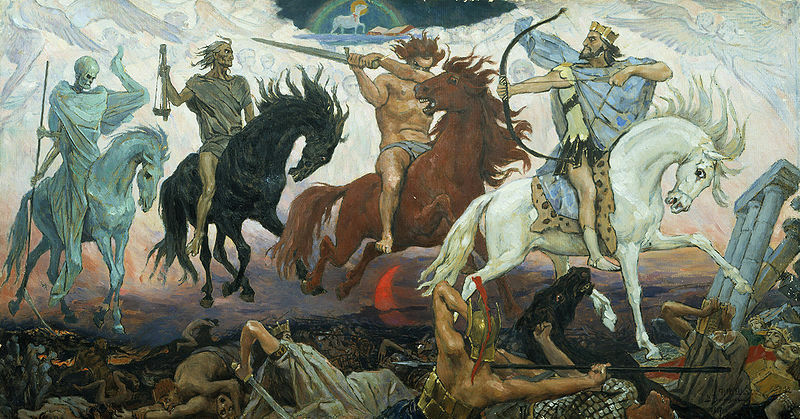 The following are 20 signs that we could be headed for an economic apocalypse in 2012…. #1 Back in 2008 we saw major rioting around the world due to soaring food prices, and now global food prices are on the rise again. Global food prices in July were 33 percent higher than they were one year ago. Price increases for staples such as maize (up 84 percent), sugar (up 62 percent) and wheat (up 55 percent) are absolutely devastating poverty-stricken communities all over the planet. For example, one expert is warning that 800,000 children living in the Horn of Africa could die during this current famine. #2 The producer price index in the U.S. has increased at an annual rate of at least 7.0% for the last three months in a row. We are starting to see huge price increases all over the place. For example, Starbucks recently jacked up the price of a bag of coffee by 17 percent. If inflation keeps accelerating like this we could be facing some very serious problems by the time 2012 rolls around. #3 The U.S. “Misery Index” (unemployment plus inflation) recently hit a 28 year high and many believe that it is going to go much, much higher. #5 Working class jobs in the United States continue to disappear at an alarming rate. Back in 1967, 97 percent of men with a high school degree between the ages of 30 and 50 had jobs. Today, that figure is 76 percent. #6 There are all kinds of indications that U.S. economic growth is about to slow down even further. For example, pre-orders for Christmas toys from China are way down this year. #7 One recent survey found that 9 out of 10 U.S. workers do not expect their wages to keep up with the rising cost of basics such as food and gasoline over the next year. #8 U.S. consumer confidence is now at its lowest level in 30 years. #9 Today, an all-time record 45.8 million Americans are on food stamps. It is almost inconceivable that the largest economy on earth could have so many people dependent on the government for food. #10 As the economy crumbles, we are also witnessing the fabric of society beginning to come apart. The recent flash mob crimes that we are starting to see all over America are just one example of this. #11 Some desperate Americans are already stealing anything that they can get their hands on. For example, according to the American Kennel Club, dog thefts are up 32 percent this year. #12 Small businesses all over the United States are having a really difficult time getting loans right now. Perhaps if the Federal Reserve was not paying banks not to make loans things would be different. #13 The U.S. national debt is like a giant boulder that our economy must constantly carry around on its back, and it is growing by billions of dollars every single day. Right now the debt of the federal government is $14,592,242,215,641.90. It has gone up by nearly 4 trillion dollars since Barack Obama took office. S&P has already stripped the U.S. of its AAA credit rating, and more downgrades are certain to come if the U.S. does not get its act together. #14 Tensions between the United States and China are rising again. A new opinion piece on chinadaily.com is calling for the Chinese government to use its holdings of U.S. debt as a “financial weapon” against the United States if the U.S. follows through with a plan to sell more arms to Taiwan. The U.S. and China are the two biggest economies in the world, so any trouble between them would mean economic trouble for the rest of the globe as well. #15 Most state and local governments in the U.S. are deep in debt and flat broke. Many of them are slashing jobs at a feverish pace. According to the Center on Budget and Policy Priorities, state and local governments have eliminated more than half a million jobs since August 2008. UBS Investment Research is projecting that state and local governments in the U.S. will cut 450,000 more jobs by the end of 2012. How those jobs will be replaced is anyone’s guess. #16 The U.S. dollar continues to get weaker and weaker. This is renewing calls for a new global currency to be created to replace the U.S. dollar as the reserve currency of the world. #17 The European sovereign debt crisis continues to get worse. Countries like Portugal, Italy and Greece are on the verge of an economic apocalypse. All of the financial problems in Europe are even beginning to affect the core European nations. For example, German industrial production declined by 1.1% in June. There are all kinds of signs that the economy of Europe is slowing down and is heading for a recession. French President Nicolas Sarkozy and German Chancellor Angela Merkel are proposing that a new “economic government” for Europe be set up to oversee this debt crisis, but nothing that the Europeans have tried so far has done much to solve things. #18 The Federal Reserve is so desperate to bring some sort of stability to financial markets that it has stated that it will likely keep interest rates near zero all the way until mid-2013. The Federal Reserve is operating in “panic mode” almost constantly now and they are almost out of ammunition. So what is going to happen when the real trouble starts? #19 Central banks around the world certainly seem to be preparing for something. According to the World Gold Council, central banks around the globe purchased more gold during the first half of 2011 than they did all of last year. #20 Often perception very much influences reality. One recent survey found that 48 percent of Americans believe that it is likely that another great Depression will begin within the next 12 months. If people expect that a depression is coming and they quit spending money that actually increases the chance that an economic downturn will occur. There is already a tremendous amount of economic pain on the streets of America, but unfortunately it looks like things may get even worse in 2012. The once great economic machine that was handed down to us by our forefathers is falling to pieces all around us and we are in debt up to our eyeballs. The consequences of our bad economic decisions are hurting some of the most vulnerable members of our society the most. As the following video shows, large numbers of formerly middle class Americans are now living in their cars or sleeping in the streets…. It is a crying shame what is happening out there on the streets of America today. Please say a prayer for all of those that are sleeping in cars or tents or under bridges tonight. Soon even more Americans will be joining them. Turns out the Middle East is not the only place on earth where trouble has heated to a dangerous boil. 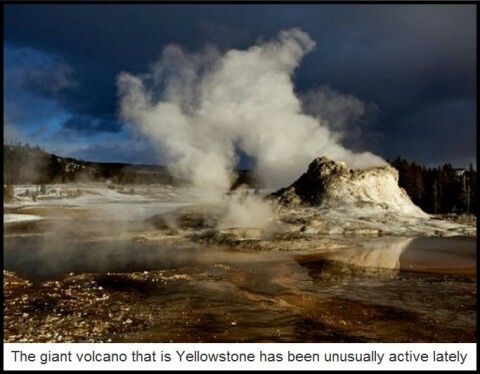 Superhot gases have recently caused miles of ground to swell dramatically beneath Yellowstone, reminding us that Nature could end life on this planet far more swiftly than any man-made conflict. Even a hydrogen bomb would be a firecracker in comparison to an eruption of the Yellowstone caldera. Which brings us to the essay below, written by a friend of ours with a keen interest in prophets and seers. 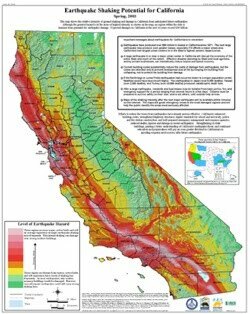 At least one of them predicted long ago that 2012 would see a spectacular increase in seismic activity, potentially affecting hundreds of millions of lives. This essay originally ran in May, but with Yellowstone’s supervolcano unusually active, we thought it would be a good time to repeat it. Our friend also notes that “the drumbeat of prophecies clicking over is also picking up pace – watch England for potential violence involving the Royal family in the lead-up to this April’s royal wedding; Tunisia is only the first North African country to experience destabilizing revolution and Algeria and Morocco could well follow in the year ahead; and watch the Catholic Church as a schism may unfold there as well. Even the least observant amongst us is slowly becoming aware of a building “drumbeat” of seismic events on our planet – that seem to be increasing in both frequency and magnitude and occurring in areas where we find significant populations. Recent large scale destructive events include the Indonesian tsunami; central China, Haiti, Chile and last week’s western China earthquakes and also the recent eruption of an Icelandic volcano. Combined, these major seismic events have cost hundreds of thousands of lives and billions in damages. The Icelandic volcano has so far just disrupted intercontinental air traffic, and so is negatively impacting the western developed economies. We can all see though, that significant seismic events can have potential relevance to us as investors. According to several prophetic sources, seismic activity is building towards an impending planetary event (worldwide) – the shifting of the axis of rotation of the Earth, which some sources indicate is forecast to occur in the 4th quarter of 2012. The U.S. will obviously not be immune to this massive disaster. Ancient Hindu texts suggest this is a regular cyclical planetary event that has occurred roughly every 14,000 years. The pole shift may be triggered by a rogue celestial object that enters our solar system as part of a 14,000 year orbit. If this happens, prophecy suggests that a celestial object should first appear visible to us in the sky on a future June 21st (2012?) of that fateful year. Mayan prophetic sources also seem to suggest the 4th quarter of 2012 (December 21-23) is the likely timing (however triggered) for the actual pole shift. After the tumultuous years of the Great Recession, a battered people may wish that 2011 will bring a return to kinder, gentler times. But that is not what we are predicting. Instead, the fruits of government and institutional action – and inaction – on many fronts will ripen in unplanned-for fashions. Trends we have previously identified, and that have been brewing for some time, will reach maturity in 2011, impacting just about everyone in the world. 1. Wake-Up Call In 2011, the people of all nations will fully recognize how grave economic conditions have become, how ineffectual and self-serving the so-called solutions have been, and how dire the consequences will be. Having become convinced of the inability of leaders and know-it-all “arbiters of everything” to fulfill their promises, the people will do more than just question authority, they will defy authority. The seeds of revolution will be sown…. 2. Crack-Up 2011 Among our Top Trends for last year was the “Crash of 2010.” What happened? The stock market didn’t crash. We know. We made it clear in our Autumn Trends Journal that we were not forecasting a stock market crash – the equity markets were no longer a legitimate indicator of recovery or the real state of the economy. Yet the reliable indicators (employment numbers, the real estate market, currency pressures, sovereign debt problems) all bordered between crisis and disaster. In 2011, with the arsenal of schemes to prop them up depleted, we predict “Crack-Up 2011”: teetering economies will collapse, currency wars will ensue, trade barriers will be erected, economic unions will splinter, and the onset of the “Greatest Depression” will be recognized by everyone…. 3. Screw the People As times get even tougher and people get even poorer, the “authorities” will intensify their efforts to extract the funds needed to meet fiscal obligations. While there will be variations on the theme, the governments’ song will be the same: cut what you give, raise what you take. 4. Crime Waves No job + no money + compounding debt = high stress, strained relations, short fuses. In 2011, with the fuse lit, it will be prime time for Crime Time. When people lose everything and they have nothing left to lose, they lose it. Hardship-driven crimes will be committed across the socioeconomic spectrum by legions of the on-the-edge desperate who will do whatever they must to keep a roof over their heads and put food on the table…. 5. Crackdown on Liberty As crime rates rise, so will the voices demanding a crackdown. A national crusade to “Get Tough on Crime” will be waged against the citizenry. And just as in the “War on Terror,” where “suspected terrorists” are killed before proven guilty or jailed without trial, in the “War on Crime” everyone is a suspect until proven innocent…. I am honored to have been interviewed as part of the “Straight Talk” series on Chris Martenson.com. This is Part One. At the request of the savvy membership of Chris Martenson.com, General Manager Adam Taggart drew up ten thoughtful questions for me as part of CM.com’s “Straight Talk” series. Restraining my usual verbosity was difficult, but I managed to keep my responses below 5,000 words. To keep you from nodding off too directly, I’ve cut the interview into Part One and Part Two, which will appear another time. “Straight Talk” features thinking from notable minds whom the ChrisMartenson.com audience has indicated it wants to learn more about. Readers submit the questions they want addressed and our guests take their best crack at answering. The comments and opinions expressed by our guests are their own. This week’s Straight Talk contributor is Charles Hugh Smith, who has been an independent journalist for 22 years. His weblog, www.oftwominds.com, is a daily compendium of observations and analysis on the global economy and financial markets, as well as notable political, social and cultural trends. Charles has authored a number of books across several genres, including the recent Survival+: Structuring Prosperity for Yourself and the Nation. 1. Of the many forces at play that you write about within the economy, society, and politics – which ones do you see as the most defining for the future? How do you expect things to unfold? CHS: Clearly, demographics and Peak Oil are forces which cannot be massaged away by policy tweaks or financial engineering. I think the exhaustion of Global Neoliberal Capitalism and State Capitalism is apparent, as is the bankruptcy of the two ideologies that more or less define our politics. The reliance on expansion of credit and State power is a dynamic with only unhappy endings. There are also structural end-games such as Baumol’s Disease at work (see below excerpt from Wikipedia): the inefficient sectors of the economy end up dominating the national income. Services such as healthcare, education and the Armed Forces become more productive at much slower rates than the overall economy. Looking ahead, the Empire (the hundreds of overseas military installations, the diplomatic and financial reach into every nook and cranny of the planet, etc. ), healthcare and other entitlements will require most of the national income. That is an unsustainable trajectory, especially as Peak Oil/peak everything kicks in. As readers know, I am intensely interested in dynamics which are subtle and not quantifiable. Since they can’t be quantified, they are generally ignored. Yet they are very real, even though we may not even be conscious of them. The reliance on propaganda, for instance, has become so pervasive that the notions of truth and honesty have been hollowed out. Nobody expects the President or Ben Bernanke to speak honestly, as the truth would shatter an increasingly fragile status quo. But this reliance on artifice, half-truths and propaganda has a cost; people are losing faith in government, in all levels of authority, and in the Mainstream Media—and for good reason. The marketing obsession with instant gratification and self-glorification has led to a culture of what I call permanent adolescence. Politicians who promise a pain-free continuation of the status quo are rewarded by re-election, and those who speak of sacrifice are punished. An unhealthy dependence on the State to organize and fund everything manifests in a peculiar split-personality disorder: people want their entitlement check and their corporate welfare, yet they rail against the State’s increasing power. You can’t have it both ways, but the adolescent response is to whine and cajole Mom and Dad (or the State) for more allowance and more “freedom.” But freedom without responsibility and accountability is not really freedom; it’s simply an extended childhood. 2. You’ve written recently that you expect us to enter deflation because the amount of QE dollars pale in comparison to the amount of bad debt still to be destroyed. How can you be so sure? Why should anyone trust the dollar as a viable long term unit of wealth preservation in an environment where the natural checks & balances of the interest rate mechanism is being subverted? IS GLOBAL WARMING A HOAX? We’ve received a huge number of reader questions (and even complaints) about this issue. Many are convinced that global warming is just a hoax contrived by the government to grab power and destroy the economy. In my view, that explanation is half right. Yes, in my opinion global warming and climate change is absolutely being used by Big Government to grab more power, restrict more freedoms and in many ways consolidate power at both the national and global levels. That much is clearly true. At the same time, however, climate change is really happening. I see convincing evidence that the activities of humankind are, indeed, altering our atmosphere in ways that accelerate normal processes, essentially dominating the cycles and throwing them far out of balance. The recent findings on rising sea levels, for example, truly are cause for concern for long-term “big picture” thinkers. Good studies show sea levels rising at a rate approaching one centimeter per year. And much like an environmental freedom fighter, NASA scientist James Hansen is now spearheading protests aimed at the “do nothing” governments that sit around and ignore the climate change problem while things continue to get worse. It’s important to remember that just because Big Government is exploiting this crisis to grab power doesn’t mean the crisis is not real. What’s happened here, in my view, is that power-hungry bureaucrats around the world have latched onto this very real development of climate change and found ways to exploit it to their own advantage. As Hillary Clinton famously said recently, “Never waste a good crisis.” And they sure aren’t hesitating to leap on this climate change crisis as a way to restrict freedom and grab power. IN THIS NEWSLETTER WE WILL OUTLINE WHAT is likely to be the devastating effect of the credit bubbles, government money printing and of the disastrous actions that governments are taking. Starting in the next 6 months and culminating in 2011–12 the world will experience a series of tumultuous events which will be life changing for most people in the world. But 2011–12 will not be the beginning of an upturn in the world economy but instead the start of a long period of economic, political and social upheaval that could last for a couple of decades. We will discuss the three areas that we for some time have argued will determine the fate of the world for the foreseeable future, namely the coming unemployment explosion, the next and much more serious phase in the credit markets and finally the likely hyperinflationary or just inflationary effect this will have on the world economy and investments. Let us first go back in history and analyse what creates an empire and the prosperity that comes with it. The British Empire started in the 17th century and reached its peak in the 19th century during Queen Victoria’s reign. By the end of the 19th century the British Empire included nearly 20% of the land surface of the world and 25% of the world’s population. So Britain which is less than 0.5% of the world’s land surface area controlled an empire which was more than 50 times greater. So by using slave labour and by stealing the resources of 20% of the world, it is no wonder that Britain was the wealthiest nation for several centuries. But like all empires, Britain carried the seeds of its own destruction. All empires – e.g. Mongolian, Roman, Ottoman or British etc. – eventually overstretch their resources both militarily and financially. This combined with decadence and illusions of grandeur eventually leads to the collapse of an empire. The US empire was slightly different from the point of view that it never conquered the world although the US was itself a colony conquered from its original inhabitants. But the US has intervened in many areas (e.g. Korea, Vietnam, Afghanistan, Iraq etc.). Also, there are US military bases in 120 countries. Initially the US was an economic superpower based on an entrepreneurial spirit and a very strong production machine backed by fierce military power. But after the Vietnam war the US had overstretched its resources and by 1971 Richard Nixon abolished the gold standard in order to be able to start money printing in earnest. The money printing phase is normally the last stage of an empire before it collapses and this is where the US is now.